Raghuvaṃśa is one of the most popular Mahākāvyas of Sanskrit, and one of the best creations of the master poet Kālidāsa. It is a poem which is truly Mahat (Great) in style, in beauty and in its characters. First sarga of this poem is traditionally one of the first Sanskrit texts to which a student is exposed to. 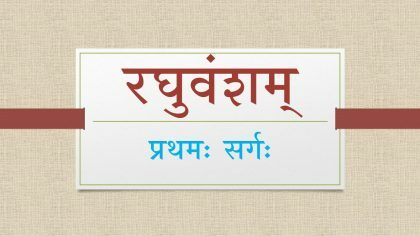 The entire sarga consists of short Anuṣṭup verses, which are easy for beginners. 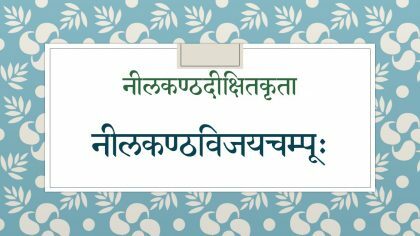 In addition, almost every verse of the sarga is dripping with beautiful expressions, alaṅkāras, and charming usages, which makes it a very apt introduction to the wonderful world of Sanskrit poetry. Studying this sarga with the commentary of Mallinatha is perhaps one of the best ways to improve one’s hold over the Sanskrit language and grammar. In these video lectures, Smt. 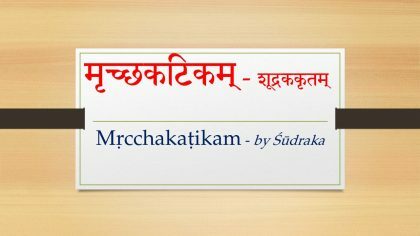 Vidhya Ramesh explains the verses in simple Sanskrit, with detailed word-by-word meaning and anvaya. 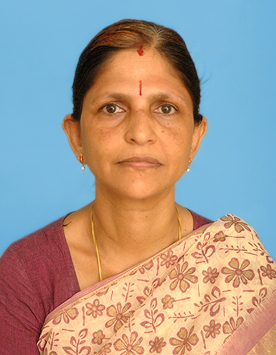 Her long experience in teaching Sanskrit is amply evident in these student-friendly lectures. We thank Smt. Vidhya Ramesh for allowing us to host this course, and share these valuable resources with our students. We also thank Smt. Nivedita, who has uploaded the videos of this course, and also shared her extensive notes with us. These videos and notes are hosted on her blog, Vidyaadaanam, and we thank her too, for letting us mirror them on our portal.